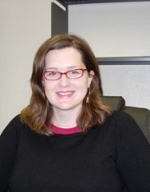 Prof. Heather Canavan is an Associate Professor in the Department of Chemical & Biological Engineering at the University of New Mexico. She earned her Doctorate and MPhil from The George Washington University in Physical Chemistry, with a minor in Forensic Chemistry. She earned her Bachelors from the University of California at Santa Barbara in Biology. She has worked at Los Alamos National Laboratory and the Naval Research Laboratory, and did her postdoctoral fellowship at the University of Washington in Seattle. Her research focuses on cell/surface interactions, bioactive polymers and biocompatibility, and the design of adaptive tools and devices for enhanced mobility. She is also extremely active in engineering and scientific education. Her funding is primarily from the National Science Foundation and the National Institutes of Health. 2014-2016: Director, Biomedical Engineering Graduate Program, University of New Mexico, Albuquerque, NM. 2012: Visiting Associate Professor, Industrial Research Institute Swinburne (IRIS) • Swinburne University of Technology, Melbourne, Australia. 2011 - Present: Associate Professor, Department of Chemical & Nuclear Engineering* and Department of Chemistry • University of New Mexico, Albuquerque, NM. 2005 - 2011: Assistant Professor, Department of Chemical & Nuclear Engineering and Department of Chemistry • University of New Mexico, Albuquerque, NM. 2002 - 05: Senior Postdoctoral Fellow, Departments of Chemical & Bioengineering, National ESCA & Surface Analysis Center for Biomedical Problems (NESAC/BIO) • University of Washington, Seattle, WA. 1994 - 97: Chemist, Chemistry Science and Technology Division, Los Alamos National Laboratory, Los Alamos, NM. 1991-94: Staff Research Assistant, Chemistry Science and Technology Division, Los Alamos National Laboratory, Los Alamos, NM. Cooperstein, M.A. ; Nguyen, P.A.H. ; Canavan, H.E., “Poly(N-Isopropyl Acrylamide)-Coated Surfaces: Investigation of the Mechanism of Cell Detachment,” invited manuscript for an In Focus issue of Biointerphases, 12 (2), 02C401 (2017). DOI: http://dx.doi.org/10.1116/1.4979920. Wilde, K.N. ; Nguyen, P.H. ; Whitten, D.; Canavan, H.E. “Skin Irritation Testing of Antimicrobial Conjugated Electrolytes,” invited manuscript for an In Focus issue of Biointerphases, 12 (2) 02C403 (2017). DOI: http://dx.doi.org/10.1116/1.4979918. Wilde, K.N. ; Whitten, D.; Canavan, H.E. “In Vitro Cytotoxicity Testing of Antimicrobial Conjugated Electrolytes: Interactions with Mammalian Cells,” ACS Applied Materials & Interfaces, 5 (19), 9305-9311 (2013). Cooperstein, M.A. ; Canavan, H.E., “Comprehensive Study of Cytotoxicity of Poly(N-isopropyl Acrylamide) and Poly(N-isopropyl Acrylamide)-coated Surfaces,” Biointerphases, 8 (19), 1-12 (2013). Canavan, H.E. ; Weisburd, S.; Dirk, E.H.L. ; Stanton, M.; Petsev, D.; Fulghum, J.E. ; Hollar, K.; López, G.P. ; “A Laterally and Vertically Integrated Outreach Program to Increase Participation in Biomaterials-related Engineering,” Journal of Materials Education, 34 (1-2) 45-58 (2012). “Error-Reducing Sample Collection System and Apparatus,” with Simms-Small, W.; Nguyen, P.A.H. ; Canavan, H.E., preliminary patent submitted by UNM STC, June 1, 2017. “Bubblyte GI Imaging Preparatory Agent,” with Simms-Small, W.; Nguyen, P.A.H. ; Canavan, H.E., preliminary patent submitted by UNM STC, September 11, 2017.